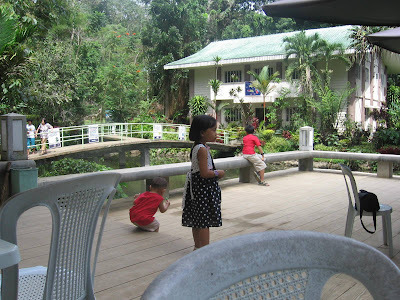 Davao City, considered as the largest city in the world in terms of land area, has a lot to offer, lush greenery, fresh sea and land bounties, pristine beaches, rich culture, hospitable people and the Philippine Eagle. According to Wiki, The Philippine Eagle, Pithecophaga jefferyi, also known as the great Philippine eagle or monkey-eating eagle, is among the tallest, rarest, largest, and most powerful birds in the world. A bird of prey belonging to the family Accipitridae, it is also known as "Haribon" or "Haring Ibon," which means "Bird King". Its local name is banog. It is endemic to the Philippines and can be found on four major islands: eastern Luzon, Samar, Leyte and Mindanao. 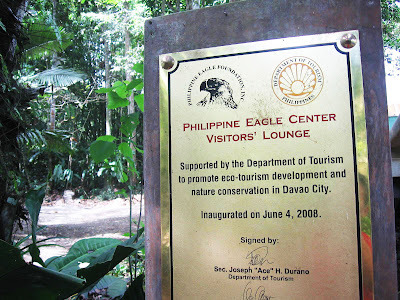 The largest number of eagles reside in Mindanao, with between 82 and 233 breeding pairs, thus the conservation center was set-up here in Davao City. 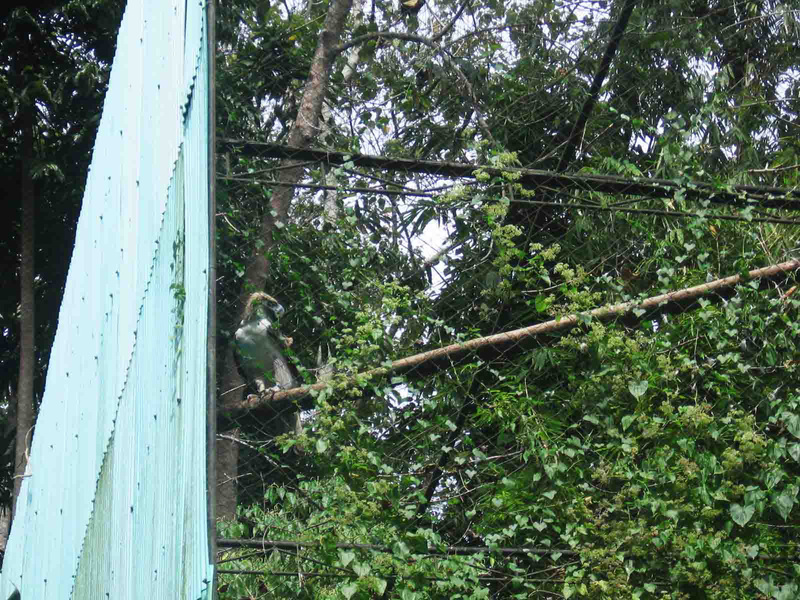 When you’re in Davao City include in your spot list, the Philippine Eagle Center at Malagos, Calinan. Sharing some snapshots of my family’s field trip to the conservation center. You can bring along 'baon' or packed food with you though, but just in case you're too lazy to prepare there's this Eagle's Deck Cafe for stomach refuge. Can you see him? I forgot his name, but this baby is just one of the many eagles that are held in captivity for breeding and later will be released in the wild. Tour guides always come in groups to explain and answer questions like... mama, how do eagles find their mate? Ask the tour guide, LOL. 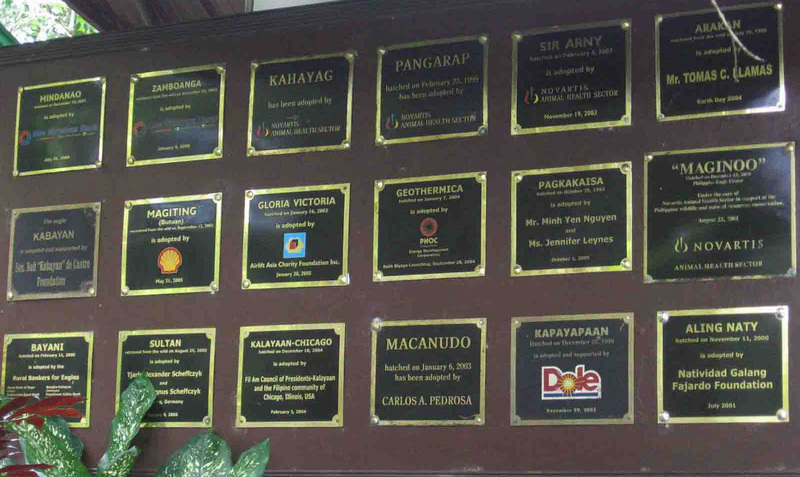 These are the names of the eagles that has been hatched in this conservatory and their generous sponsors that dole out a sum to support the needs of each bird. I don't like monkeys so I think I am in love with this bird! Very interesting post. I learned some new things visiting you here at ABC Wednesday! 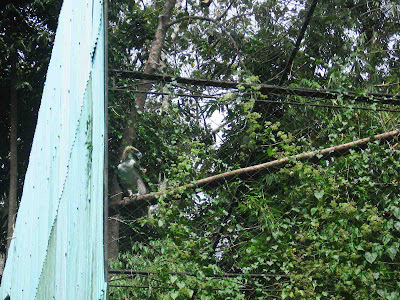 very inyeresting; didn't know that any eagle ate monkeys! Great post for the letter E. The conservancy looks like a wonderful place to visit. I'd love to visit this place too. Great E post. Nice E for today! 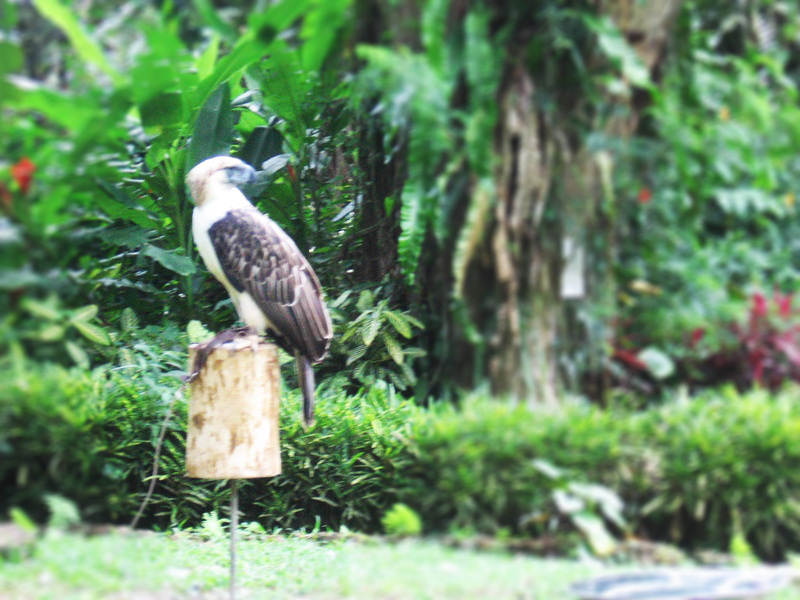 It's been a while since I saw a Philippine Eagle. 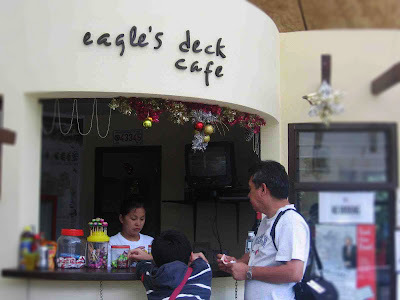 Hello Vernz, ganda siguro sa personal ang Eagle tingnan ano? Sabi nila malaki daw yun pwede daw dagitin ang isang bata, nakaka-takot naman. Thanks for the visit! I would like to take the time to congratulate you on a job well done with this blog. I have finished my review of "Woman's Elan Vital" and I'm happy to announce your blog has been added to Blogging Women. A big thank you for submitting your blog to our women's blog directory and I wish you continued success. Very interesting place and beautiful shots. Great post. Saw a lot of Sea Eagles in Norway last year and MANY Bald Eagles in Alaska. Great blog. Very informative and interesting E for Eagle post! Happy Weekend! 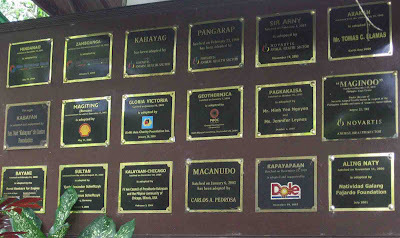 nge..memorize man ang mga names sa Eagle hahaha. 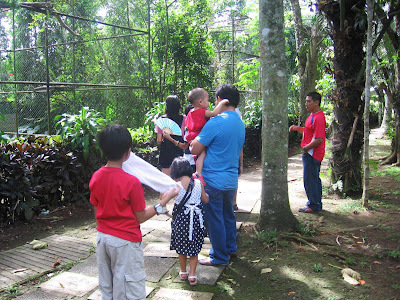 haha unsa Vernz, langgam imo napalit sa botanical garden embis na tanom..hahaha...nag libog pa jud ko nganong mipalit man ka ug langgam...abi nako Ants imo gipalit, nyak..ahak..langgam nga bird man diay hehehe..kafaet pag daghan lenguahe..